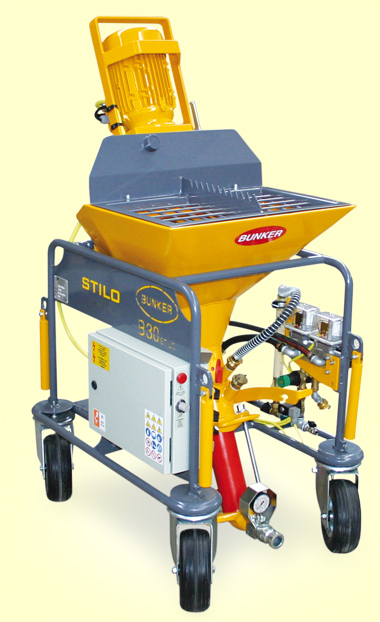 Design, technology, practicality...B30 Stilo, the plastering machine designed to fully satisfy the needs of every users. Compact and easy to use is ideal for pumping and spraying a wide range of materials, from premixed dry mortars to ready-mix materials. Available in single and three phase version, the B30 Stilo is suitable for any type of building sites. The machine can be completely disassembled, easy to clean and easy to handle.